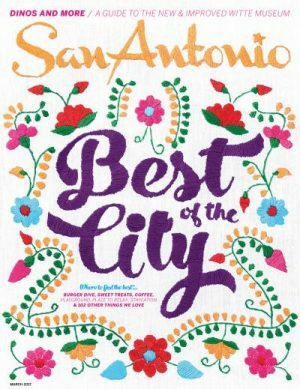 Since it began publishing in 2005, San Antonio Magazine has been the premier lifestyle publication for the Alamo City and continues to be the leading resource for trends, style, dining, travel and leisure, home and garden and events in SA. The monthly, full-color glossy, published by Open Sky Media, Inc., is read by 90,000 people in and around San Antonio each month and is found at all major booksellers and newsstands, and in luxury and top-ranked boutique hotels and resorts in the city. Parent Company: Open Sky Media, Inc.